Nice shot. I love red leaves. 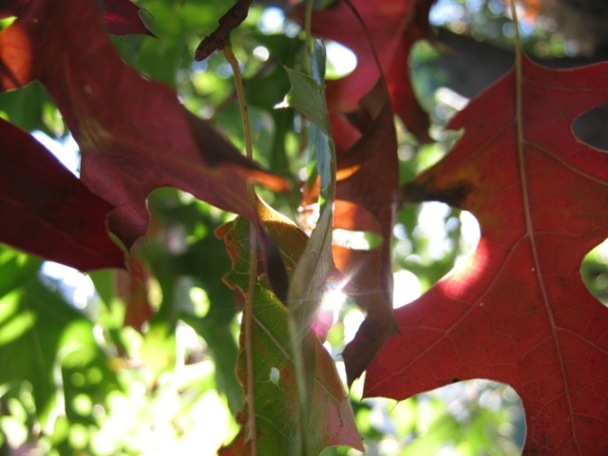 I am so jealous of your red-leafed tree…and a bit of your photography too! Love the lens flare effect…so pretty!